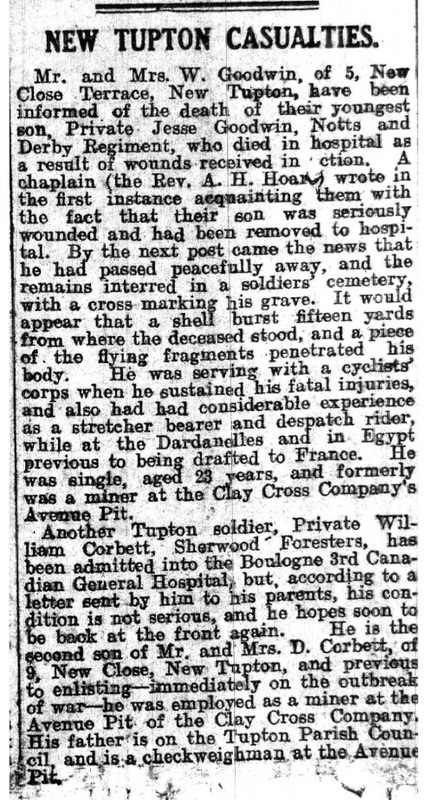 Date & place of death/details 18/4/1918. Aged 26. Service details Gallipoli, Egypt. France & Flanders. Military Awards? 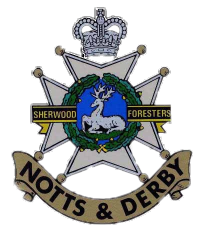 Recommended for Military Medal. 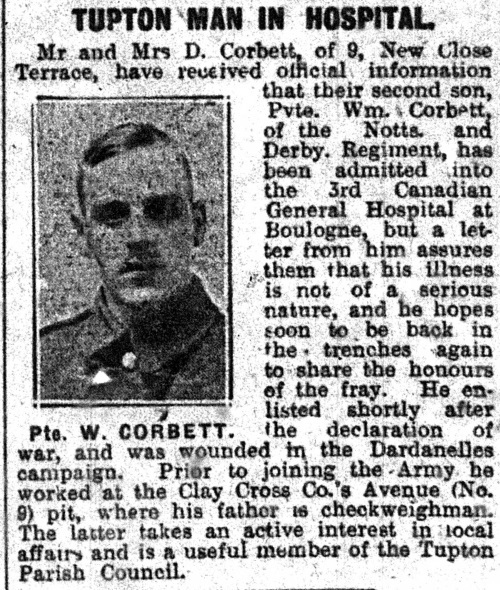 Parents names Mr David & Mrs Martha Corbett. Parents address 9, New Close Terrace, New Tupton. Grave location or memoria location Buried at Varennes Military Cemetery, France. 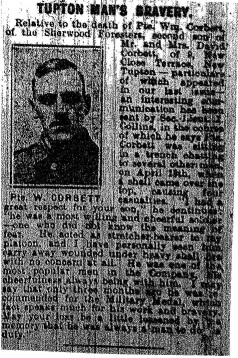 Wounded in the leg fighting in the Dardanelles (with private Fred Beard). 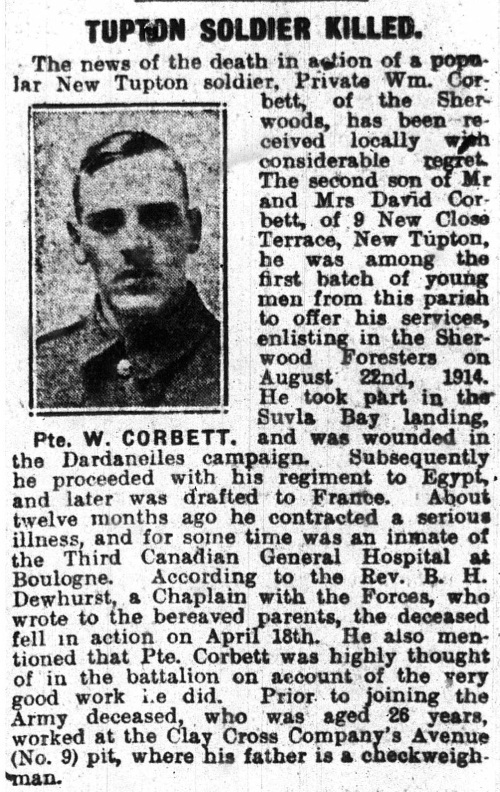 Also admitted to 3rd Canadian Hospital in Boulogne with an illness in March 1917. Pre war occupation was a miner at the Clay Cross Company No. 9 Avenue Pit. Was an active member of Tupton Parish Council. He had 2 brothers & 5 sisters.